The internet provides many marketing opportunities for real estate agents and can be very useful in generating demand for real estate services. While the expectations for 2013 are not grim, it is anticipated that competition among real estate agents will only increase. In cities like Toronto, sales are not expected to improve by a lot in 2013. However the number of realtors is increase. According to the latest recent Toronto Real Estate Board reports and statistics provide by IMS incorporated, there are were approximately 33,000 Realtors in the Toronto area in 2011. At the same time it is anticipated that in 2013 there going to be approximately just over 82,000 sales in the area. That translates to about 2.48 sales per Realtor. Furthermore, out of these real estate agents 6,100 agents sold zero homes, 5,500 more agents did one transaction and 4,000 agents sold 2 homes. At the same time thousands of home buyers use the internet daily to find listings and information on prices, neighborhoods and market trends. Creating and managing an online presence can help any Realtor capitalize on this demand and rise in the statistical ranks. A properly planned internet marketing campaign can help you capture relevant demand that exists for real estate services online. Every day there are thousands of searches being made for real estate related searches in your area. According to the Google Keyword Tool For instance, just from Toronto, in the general Toronto city market, there are over 6,000 searches per month for keywords that relate to “toronto real estate agent”. There is online demand even on a hyperlocal level. For instance, the keyword group “Scarborough real estate” has over 1,600 searches per month. Let’s dig a little deeper for the Scarborough real estate set of keywords using the Google keyword tool. This time we will be looking at exact match keywords. This means that by selecting the exact match option we will get a good idea of how many searches there are for the specific keyword we are looking at and not the group or related keywords. You can read more about the differences here. So let’s assume you are a Toronto based realtor looking for real estate leads in Scarborough. What should you expect from an internet marketing campaign? What short of demand exists for your services online already? Let’s see. You can download the excel file with the list of keywords here. Now of course this list is coarse, meaning that it contains keywords that do not necessarily show buyer intent. Its keywords people use to search for not only properties for sale and realtors but also pictures of homes in Scarborough, average prices apartments for rent, condos for rent and more. So if a realtor establishes an inbound marketing strategy to target this niche what should they expect. Let’s assume that we only capture 10% of the total 7,878 Scarborough real estate related searches that are made every month market using local search engine optimization. That is approximately 790 visits to a website. now with a .5% conversion rate of visits to leads a website can produce approximately 40 new real estate leads every month. Of course these conversions estimates can change based on how well optimized the landing page is but .5% is a number that we see at most of our clients sites before we start working on them. How well these leads convert is a different story as it depends on who answers the emails or phone calls and how well optimized a sales funnel is. Regardless though, this general list of keywords and estimates gives you an idea of how big the online search market is for real estate even on a hyperlocal level. So how does one go about targeting such a niche market? Every real estate agent is different and consequently brings different things to the table. How one brands their services is solely up to them. It has to be done in a way that appeals to the needs of the target market. For realtors, and in most cases, the characteristics that need to be brought forward are those of reliability and knowledge amongst others. Remember, a brand is not just a logo, it is an experience. The experience a customer or a prospect has with what you have to offer. It is primarily intangible and is based on the emotional connection someone has with you or your products. Having a clearly defined brand, allows for streamlined and effective communications that resonate with your prospects. Only after this identity is defined it is advised to engage in putting it “on paper” or on a website via design. A good content strategy for realtors is to focus on an area and showcase expertise for that area. The content produced needs to demonstrate intimate knowledge of the neighborhood gaining the trust of the prospects. The ones that are already in the sales funnel and the ones that we are engaging. Examples topics of how a realtor can showcase expertise in an area are community news, historical values, desirable streets, neighborhood problems, values, and valuations. This content ought to be distributed strategically to attract and keep an audience. The distribution of the content should be done via channels of communication that are owned fully or are partially owned. For example a blog is where the content should always be published first and it is advised that it should be owned. Meaning that the blog should be on a domain that the real estate agent owns. One way to think of social media as the channel of communication with your audience. It is where you publish your content. It consists of pages you own and optimize to feature your content. Another way to think of such media is where you earn the trust of your audience. It is where people can share your message with their friends, or review your services for others. So it is both owned and earned. Having and running a blog can be beneficial for many reasons. First, if the content is high quality and shared effectively, having a blog can mean more traffic to your site which in turn that means more leads. It is important however, to keep your message consistent. What and how you share on your blog should be consistent with your branding and positioning in the market. Also, from a “technical” standpoint and concerning search engine optimization, the more quality content you have on your blog the more chances you have for that content to be linked by others. Over time this will generate links, or references from other sites. In turn, as the number of links you have grows, the higher your site will rank for relevant searches. Keep in mind that blogging requires time and effort over time to produce benefits. The more effort you put into your blog the better it will be. 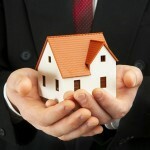 Good real estate blogs are not only about house prices and mortgage rate news. Position the blog as a local source of information for the areas you want to focus on. This over time will make you stand out from the competition as an authority in your field and build trust with your target audience. Once you have the content you can think of sharing it in your circles using Twitter, Facebook, Google + and LinkedIn. When it comes to real estate there are several things you can do to be optimized for local search. The most important one is to have a locally optimized website. A website optimized for keywords with local intent will rank higher for those searches. Being on the first page of Google for a keyword such as “homes for sale Scarborough” will bring visitors that are looking for exactly that, properties for sale in Scarborough. Local optimization also consists of creating optimized listings in local business directories. With the most important one being Google maps and Google + for business. Creating a business profile on Google + is just the beginning, and making it rank higher in local searches takes time and effort. Just like websites, local listings need to be worthwhile for them to rank better. Whereas for websites authority links or references contribute to higher rankings, for local search it is citations. Citations are business listings in local directories. For citations to work with improving your local listings on map and local searches, there is a need for a comprehensive local optimization strategy. Only with a robust strategy that takes into account content, social and search can you capture the searches that exist for real estate services in an area. In addition, expect to capture leads via social networking if done properly. This takes time and resources to set up. So don’t expect results over time. Starting with a clear brand message, local positioning, content for communications and an optimized social channel of communication will enable you to generate demand for your services. A properly planned Real Estate Internet Marketing campaign can set any real estate agent apart from the competition.